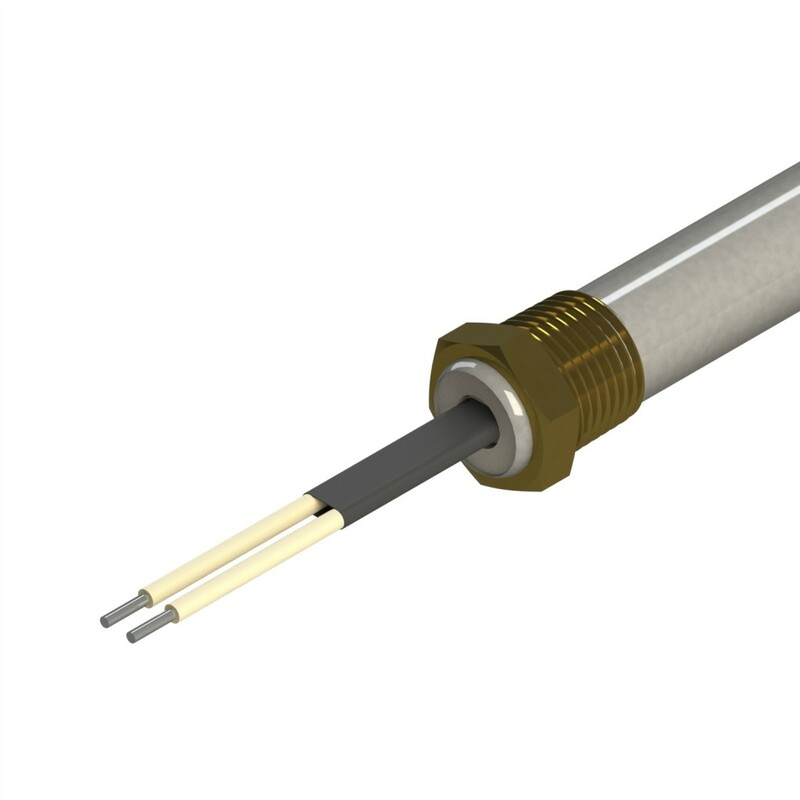 This cartridge heater design includes brass NPT, brazed in place with silver solder. This cartridge heater is usually constructed with an epoxy or silicone at the end seal (although not required). The style shown depicts a single NPT. If requested, the design can be modified to accommodate a double NPT, and also be brazed treated with threads facing the leads. This style is typically used in immersion applications, or with intent to secure the heater in place, and or to aid in the removal process.